We are working on bringing you more workshops! Do check back again or drop us an email if you are interested and any of our workshops! -Classes for our indigo workshops are limited to a maximum of 6 people per class, age 15 and above. -If you are unable to attend, you may transfer your place to another person. A 24 hours notice is required if sending someone in your place. -No refunds or credits will be issued for no shows on the day of the workshop. -A refund of 50% of the workshop fee will be issued for all cancellations made in writing and received less than 48 hours prior to the workshop date. - Further information about the class will be provided via email 7 days prior to the workshop running. 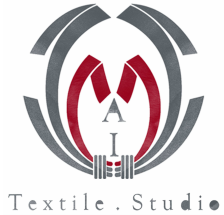 -Mai Textile Studio reserves the right to adjust the class start/ end time on the date listed at any time. Class participants will be notified of any changes to the schedule via email. We have temporarily suspended payment by card. We apologise for any inconvenience caused. Send your email to info@maitextilestudio.com with your subject as [Indigo Workshop, Name, Internet Banking]. Let us know your preferred session and handphone number. We will then send you an invoice with payment information. All payments have to be in by 24 hours upon invoice receive else we reserve the rights to have the invoice cancelled.